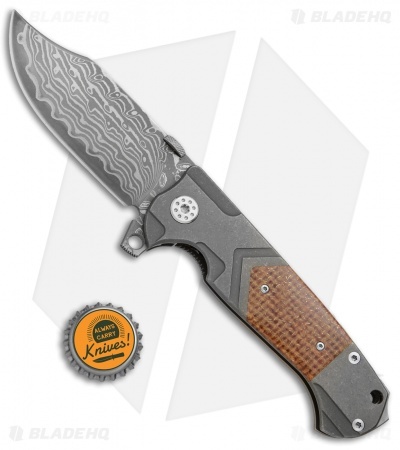 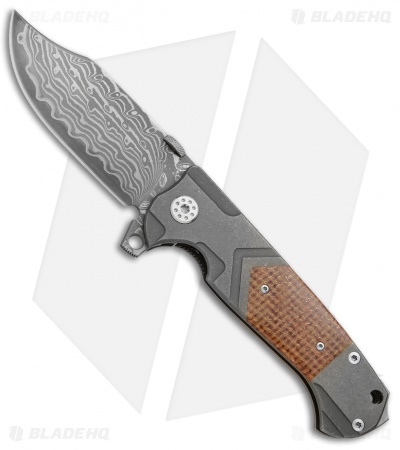 This AdV Battle Bowie sports a familiar titanium frame lock handle with a sturdy build that offers a solid grip. It's equipped with a bowie style blade made from stunning VG-10 Damascus. The handle features a tumbled finish with Kevlar inlays and a Kevlar backspacer accent. 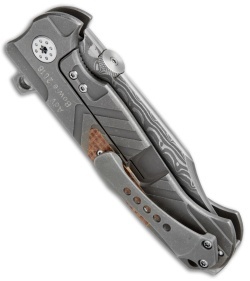 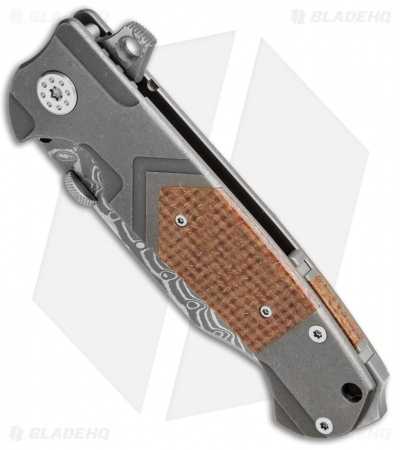 Comes fitted with a secure, tip-up carry titanium pocket clip.